Taal Volcano is active once again and many people living on Volcano Island and around Taal Lake are alarmed by the increasing activity of this volcano. I saw in the news last night of the fissuring of the ground around Taal Lake. PHIVOLCS personnel went to the communities to check the effect of Taal Volcano’s activity. PHIVOLCS personnel noticed fissures on the ground. Also, the floors and walls of houses around Taal Lake have cracks. People living around Taal Lake are considering evacuating the area if the volcanic activity escalates. In times like these, information is quite vital, especially for people living in the vicinity of Taal Lake. According to PHIVOLCS, Taal Volcano had 33 eruptions recorded in our history. The last eruption occurred in October 3, 1977. Before the Taal Volcano erupts, it will show some activities that will be noticeable by people. 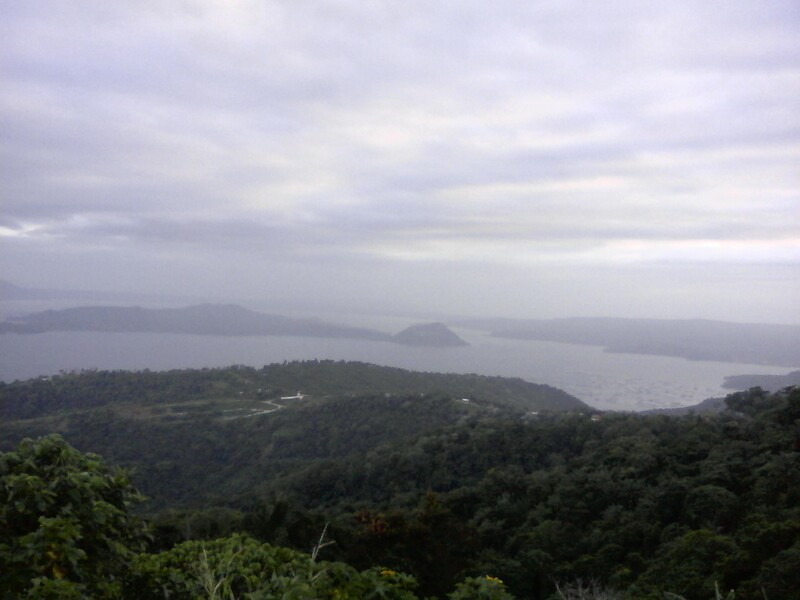 According to PHIVOLCS, the precursor activities before Taal Volcano eruptions are. 1. The increase in frequency of earthquakes and other felt events that is accompanied by rumbling sounds. 2. The increase of temperature in main crater lake of Taal Volcano. Also, the increase of temperature at groun probe holes at Mount Tabaro. 3. Swelling of ground on Volcano Island and fissuring or showing of cracks on the ground around Taal Lake. 4. Reactivation of new thermal areas or development of new ones. 5. Sulfuric odor and acrid fumes. 6. Death of fishes and other aquatic animals in Taal Lake and the drying up of vegetation on Volcano Island. For Taal Volcano, the permanent danger zone is the Volcano Island. Thus, no one should be allowed to live on the island. Additional buffer zones are the barangays of the towns of Agoncillo, Balete, Laurel, San Nicolas, Talisay and Tanauan that are located beside Taal Lake. The danger zone and the buffer zones may change depending on the activity and the eruption of Taal Volcano. Those are the information I gathered from PHIVOLCS website. For people living around the Taal Lake, I suggest that you prepare for emergency evacuation. I suggest that you prepare emergency kits like the one suggested when preparing for earthquakes. Emergency kits contains canned goods, bottled water, medicines, flashlight, extra batteries and battery-operated radios. Visit Before the Eastern Sunset and read about Handicraft Caravan and How the RH Bill will waste Filipino taxpayers' money. I hope hindi pumutok ang bulkan na iyan..
sana hindi na siya pumutok kasi kawawa talaga ung nasa paligid nun. Tama ka. Sana nga hindi pumutok. Kawawa yung mga nakatira sa paligid ng Taal Lake. Di a malapit ka sa Taal Lake? Baka masabugan ka niyan.